For those not in the know, the style of Art Deco is characterised by bold colours, glamorous ornaments, and geometric shapes, which also incorporate traditional designs. The Art Deco style originated in the early 1920s in France, and flourished worldwide until World War II. The style has been referred to as a distinct breakaway from the heavy Victorian influences and you’ll definitely pick up that it reflects the seductive and elegant Jazz age meeting the modern and more functional Machine Age. Recently, after the Baz Luhrmann’s pop-culture depiction of “The Great Gatsby” movie, staring Leonardo DiCaprio, it would seem that Art Deco style is gaining popularity world-wide again, and not just because of curious styles and beautiful costumes showcased in the movie. Miami is thought of as the Art Deco capital of the world, due to the numerous instances of this style seen in buildings, but the city of Durban in South Africa, will certainly give its USA counterpart some stiff competition. 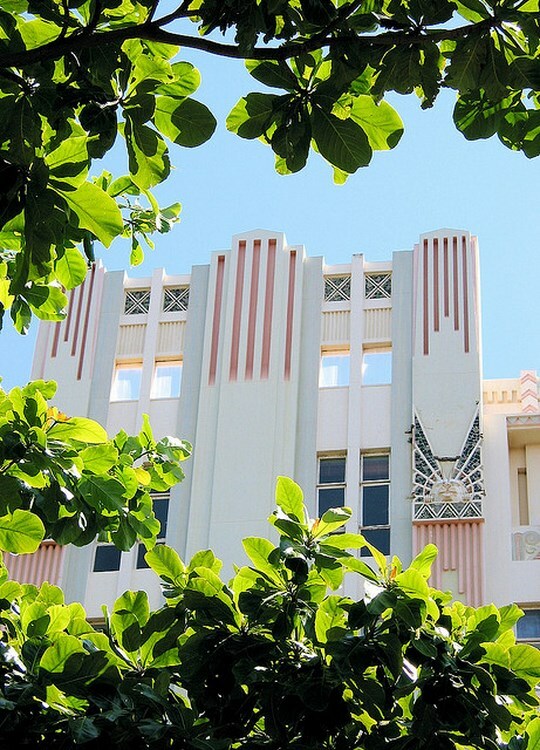 So much so, that Durban has been referenced by numerous sources as having the ‘best selection of Art Deco architecture’ when compared to ‘any other city in the world’; and Art Deco lovers will find a plethora of interesting buildings to view here. 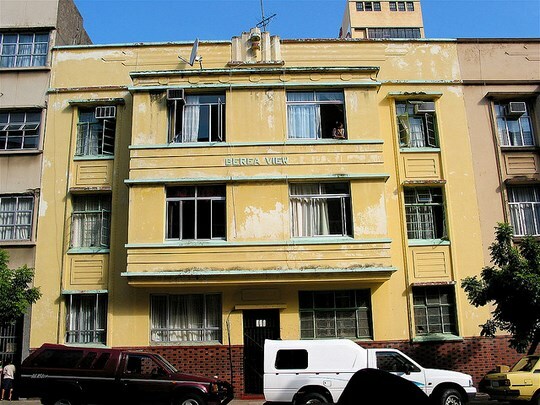 With a lack of funds and city developments, many of the beautiful Art Deco buildings in Durban fell into disrepair, due, in part, to them being located in present lower-income areas and becoming derelict. 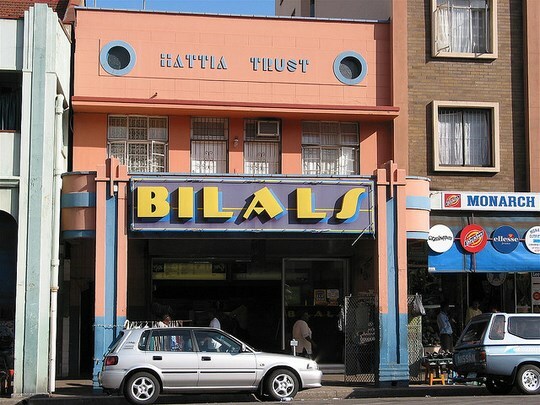 To rectify this, the Durban Art Deco Society formed to bring public attention to the stunning though decrepit buildings. In conjunction with body corporates and building owners, they have raised funds to have many of the buildings repaired, restored, and in some cases, repainted. 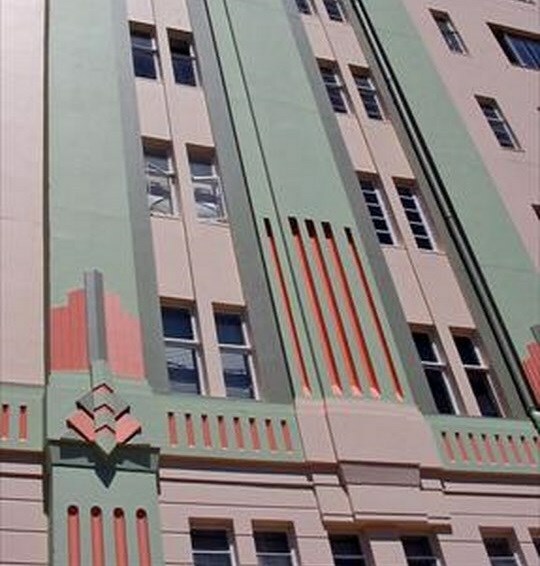 The Art Deco buildings, as noted by the Durban Art Deco Society, share in equal parts British, American, and South African influences. There are plenty of maritime influences showcased around the city, plenty of winged creatures that adorn various buildings, as well as religious motifs which came from the large population of Muslim traders in the 1930s. Dating back to 1934, the Surrey Mansions building is still one of the best examples of Art Deco architecture around, and won a local conservation award in 1991. Geometric patterns are showcased along the lower levels, and there are beautiful carvings of winged cats (definitely not your traditional griffon, as these statues have eagle bodies and the heads of lions) on the higher levels. The interior reception is a striking green and yellow, and the interior flats each have geometrically designed windows in their front doors. This building, apart from having incredible views of Durban city, was also designed by the architectural team who designed the above mentioned Surrey Mansions. The spacious courtyard in the centre of the flats is the entryway to each abode, and there are gorgeous geometric stucco detailing throughout the building. 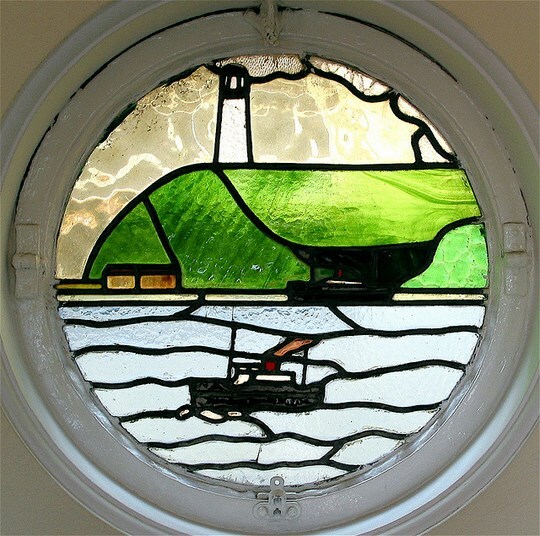 The front doors of the flats have the same lead glass windows as Surrey Mansions, but they each showcase different sides of Durban, which include maritime influences and aeronautical ones. 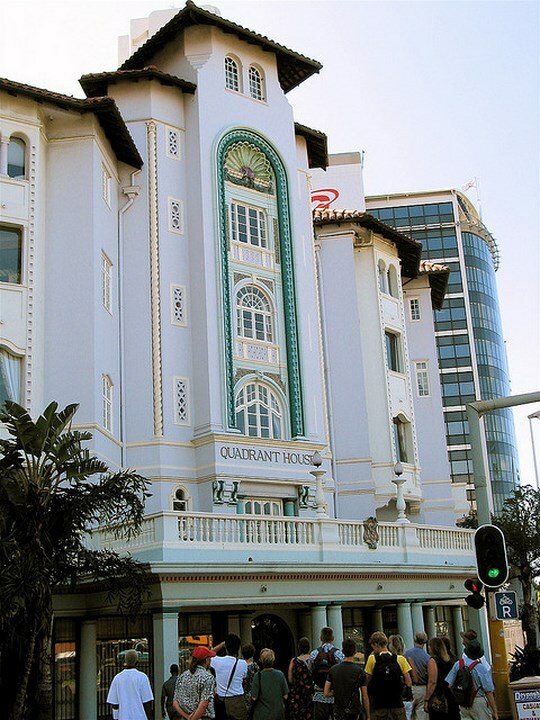 This building, finished in 1933 bears numerous African animal influences, and many consider it to be the grandest Art Deco building in Durban – interestingly, the architectural firm who designed it was Australian, and they created a similar version of this building in Hobart, Tasmania. There are many Gothic and Romanesque designs, which may seem at first glance to be less Art Deco and more Romanesque, but the design was modeled after early American Art Deco skyscrapers. You’ll see plenty of streamlined geometric eagles, antelopes, and lions here, along with Jazz chevrons. 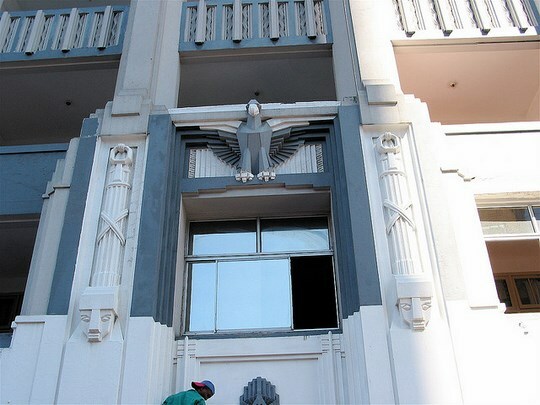 What Art Deco styles have you seen around South Africa?